The Western Cattle Egret (Afrikaans name, Veereier) is a common bird, widespread throughout Southern Africa. 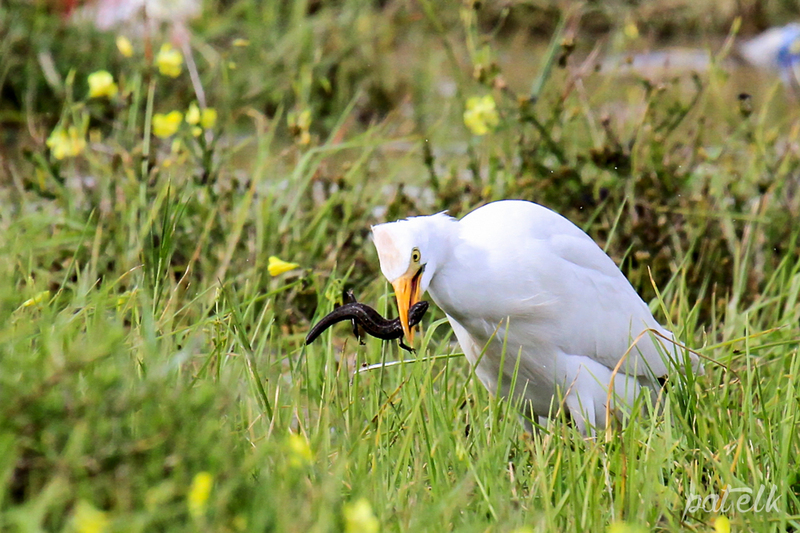 The Western Cattle Egrets have a varied diet from feeding off ticks on animals to grasshoppers and even in this instance a lizard. We captured this one at the Strandfontein Sewage Works.